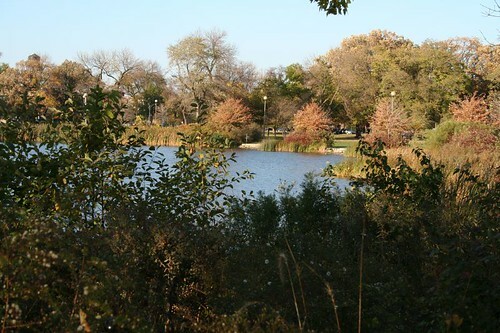 Humboldt Park — between North and Division, a bit west of Western — isn’t really hidden, but it’s easy to not really know about or visit. I paid it a visit by bicycle a while back. It’s in a neighborhood that feels transitional — old clans and residents still around, but starting to dwindle; newcomers with a bit more money to spare moving in to escape rising prices to the west. People fish in the lagoons, children run wild in the fenced play area, and a fantastic drum jam was going on when I passed through on a Saturday afternoon. 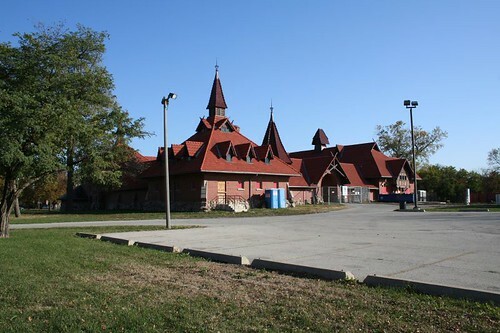 The old stables building is fairy tale architecture at its best. There are ten thousand photos hidden in those gables and red tiles. It’s been under renovation for a long time; it suffered a fire years ago, but looks great today. 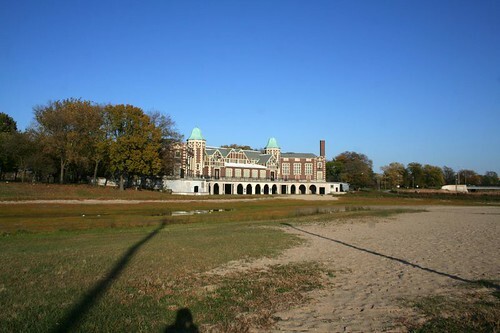 The Tudor Gothic bathhouse faces an empty lagoon at present. 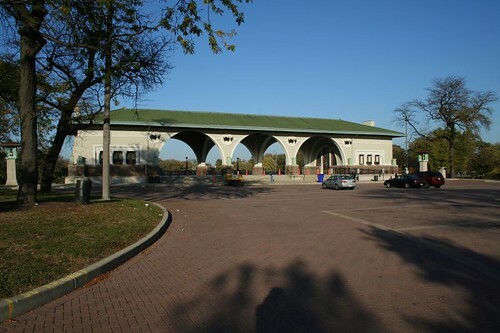 An open-air pavilion shows a Prairie School influence, echoed in a formal garden court nearby. Humboldt is wonderful. I often chastise myself for not having spent more time there when I lived a couple of blocks from it, only to remember that I lived there during the dead of winter. Thanks for the photos.